UCO Bank customers can now request new cheque book online through net banking. If you your Internet Banking facility is active then cheque book order facility available for you online, no need to visit bank. UCO Bank, formerly United Commercial Bank, established in 1943 in Kolkata, is a major government-owned commercial bank of India. You can open your saving account with just Rs.1000 small deposit. UCO Bank provides Mobile banking and net banking facility free of cost so the customer can access and manage their bank account online and avail various online services. 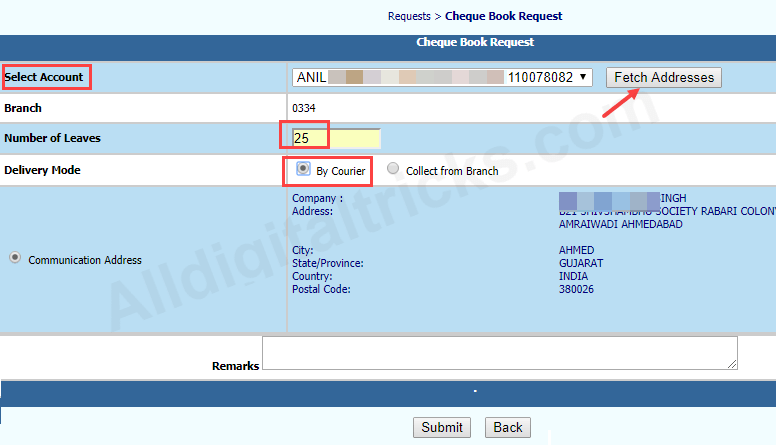 2: After login, first click on Requests Option and then click on Cheque Book Request option as you can see below image. 3: Next screen select your Account number and click on “Fetch Addresses“. You can see now your address. 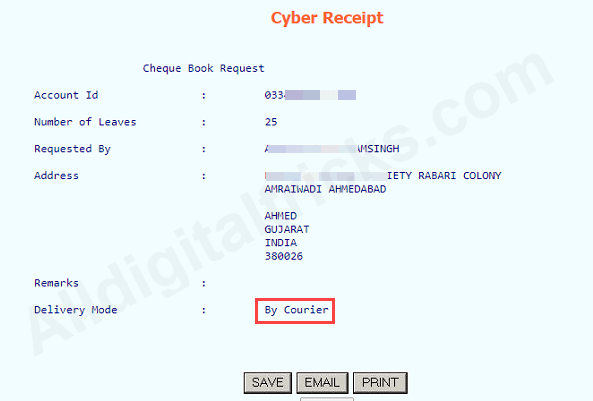 Enter Cheque leaves 25,30 or 50) and Select delivery mode “By courier“. Now click on submit. 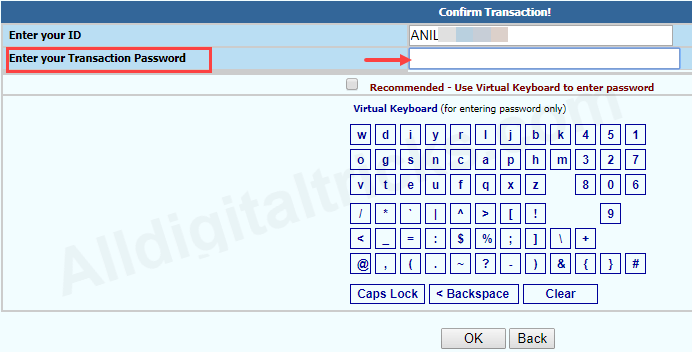 4: Next screen, enter your transaction password and confirm your request. Your Cheque Book request submitted successfully. You can see popup notification. Click on Ok to view receipt. You can view your receipt on next screen for future reference. Your new Cheque book will reach your home address via courier within 20 days depending on your location. 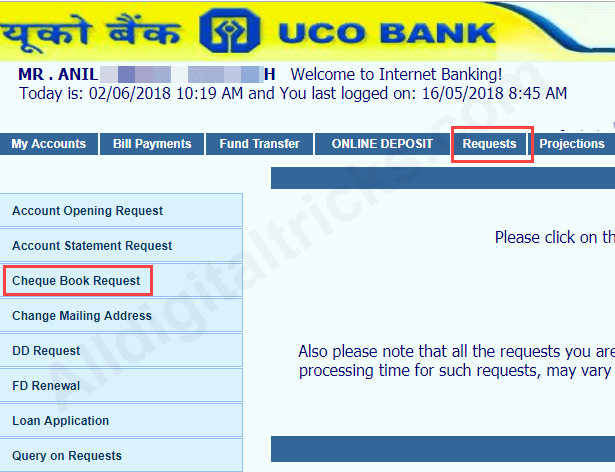 So this is how you can request UCO bank Cheque book online through net banking. 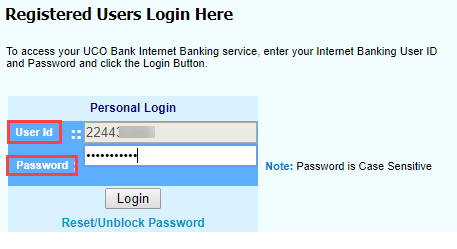 Currently this facility available only on net banking but soon it will be available on mobile banking too. No option available to check status. It will be delivered within 10 days.